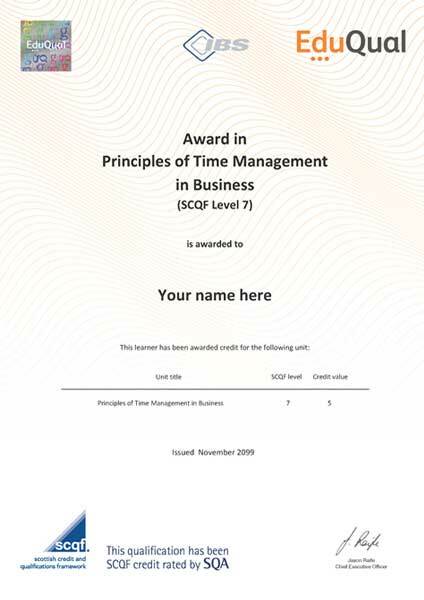 The Award in Principles of Time Management in Business (SCQF Level 7) is a 5 credit size qualification with one unit and is a Regulated Qualifications Framework (RQF) equivalent Level 4 award. This award is designed to ensure that students are aware of current time management techniques and the most common time wasting activities that occur in businesses. Employees making best use of their time is the subject of the Time Management in Business award.